Consistency with your exercise regimen is of the utmost importance in order to achieve your desired fitness goals. Having a trainer is a great way to stay responsible with your health and fitness because it ensures that you schedule regular exercise sessions throughout the week. However, without a trainer you are solely responsible to keep up with regular visits to the fitness center, which may prove to be harder than it seems due to other obligations such as work and family. 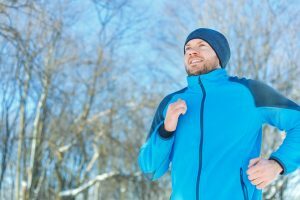 One technique that may help stay accountable is to designate a regular time in which you put aside strictly for exercise. This could be in the morning before work, or at night as your day winds down. However, planning to exercise at night leaves more of a chance to come up with excuses to miss the gym, and on top of that we have less energy in the evening/night versus the morning. Another strategy could be to set a goal for how many days you wish to exercise (ideally a minimum of three days a week) and then make a checklist. Keep that checklist somewhere you will see every day to ensure you meet your weekly goal. If for some reason due to lack of time you are unable to make it to the facility, have your trainer design a home workout for you for convenience. Having exercise equipment at home, such as a treadmill, bike, dumbbells, and/or resistance bands will certainly help keep you accountable—or even if you walk or jog around the neighborhood for at least 30 minutes.